Below you will find descriptions of all positions within the union. All post descriptions are currently under review and will be updated continuously. If you want more detailed information of various positions within the union see the regulatory documents of the union and/or contact the union at luna@luna.lu.se. You can find more information about the application process and a list of all available positions for the current operational year on the apply page. The presidium consists of the President (1) and the Vice President (1). The presidium is responsible for the daily operation of the union and work full-time at the union office as sabbatical officers. In the administrative roles that comprises the presidium the most prominent tasks are organising the union’s work such that the students’ voice towards the university becomes united and strong to prevent the students being ignored in changes or that changes are made for the better. The work is done through continuous meetings with the board, student councils, committees, and the parliament. An important role is to aid vulnerable students who face problems or disputes in their education or with fellow students. In collaboration with the studentombud the presidium will help the person overcome their problems and, if necessary, serve as an outside representative in communication between the involved parties. The presidium will also handle the union’s economy and be representatives in external organs such as Lunds Universitets Studentkår (LUS) and Studentlund. They are also responsible for helping the union’s committees such as the party committee and the mentor committe, in planning and executing different events. For these tasks persons with good computer skills, are out-going and social, stress-durable, have a basic knowledge of economy, and are orderly are required. The President is employed full-time for one year and is the union’s face externally and the primary representative towards the faculty, media, LUS, and Sveriges Förenade Studentkårer (SFS). The president is also ultimately responsible for the union. The Vice-President task is also to replace the president when they is not available. Knowledge of Swedish is required for these positions. As Head of Corporate Relations you are payed full time by the union one semester and you have a responsibility to prepare your sucessor for their scal year. Your primary tasks are to work towards the faculty to incorporate a larger connection the the labour market in the education. Your other tasks are to organise and execute di erent labour market related events for the unions members, involving but not limited to lectures, cases with companies outside the university and the plan and execute LUNAs career fair ATLAS. You are also leader of the career-committee. As Head of Corporate Relations you should have good computer skills, you should be able to handle stress, be sociable, a good speaker and orderly. Knowledge of Swedish is required for this post. The board is, together with the president and vice president, the executive part of the union, providing opinions to the presidium and supporting them during stressful times. Working closley with the presidium, the board acts as the voice of the parliament during decisions at board meetings. The chairperson of the Nomination Committee leads and directs the work of the Committee through coordinating the election process before elective parliament. If possible the Nomination Committee chairperson should also coordinate the election process for by-elections. Members of the Nomination Committee assist the chairperson in coordinating the elective process before every elective parliament. This includes but is not limited to spreading information, gathering candidatures, interviewing and nominating appropriate candidates to present for elective parliament. As auditor you audit the unions operational report of the previous operational year and make sure the union has completed their tasks during the year. The responsibility of the auditor is concentrated in a short period when the operational report are handed in, usually during October or November. To apply for operational auditor you must have previously held a post in the presidium or board of the union, or been a member of the parliament. As webmaster you are responsible for the unions website and web-hotel being updated and working. You are also responsible for administrating editor and admin roles in the websites development system for active members in the union. The Quartermaster is responsible for keeping book on the unions consumables and organising the union archives. A driver’s licence is required for this post. The ballmasters are responsible for arranging LUNA’s annual ball UTOPIA. They carry out their work in close collaboration with the presidium of the union and are the heads of all matters pertaining to the ball. Their duties include, but are not limited to, selecting the ball committee, arranging and leading ball committee meetings, arranging menu, hiring entertainment, planning decoration, being toastmasters during the ball,marketing the ball to the members, and arranging any eventual ticket releases. The ballmasters are expected to work very closely with one another and share equal power in decisive matters. After the ball they perform an evaluation along with the presidium to continuously improve the ball for coming years. The Tandem Generals are responsible for organising the LUNA participation in the annual ‘Tandem Staffetten’ taking place in May. The chairperson of the Corporate Relations Committee is the Head of Corporate Relations of the union. The Head of Corporate relations leads and directs the work of the Committee. If you are interested in becoming the chairperson of the Corporate Relations Committee, candidate to the position as Head of Corporate Relations. The members of the Corporate Relations Committee assist the Head of Corporate Relations in his work with the career related activities of the union. Everything from spreading information about career opportunities to organising big events such as the career fair ATLAS and smaller workshops is possible. The chairperson of the Education Committee leads and directs the work of the Committee through promoting exchange of experiences between the Committee members and set the agenda for discussion in education related issues at the Faculty of Science. Members of the Education Committee are all parliament elected student representatives in the Faculty Eduction Board as well as all student council elected student representatives in the Department Education Board or similar. If you are interested in becoming a member of the Education Committee, candidate to either of these positions. The Education Committee acts both as a forum for sharing experiences between members as well as a discussion forum where common goals and strategies in education related issues are discussed. Additionally, the committee regularly surveys the education related opinions of the students at the Faculty of Science. The spokespersons of the Gender and Equality Committee lead and directs the work of the Committee through promoting exchange of experiences between the Committee members and sets the agenda for discussion in gender and equality related issues at the Faculty of Science. Members of the Gender and Equality Committee are all parliament elected student representatives in the Faculty Equal Opportunities Board as well as all student council elected student representatives in the Department Gender and Equality Board or similar. If you are interested in becoming a member of the Gender and Equality Committee, candidate to either of these positions. The Gender and Equality Committee acts both as a forum for sharing experiences between members as well as a discussion forum where common goals and strategies in gender and equality related issues are discussed. As a member you also assist the spokespersons in arranging various workshops. The chairperson of the Health, Environment and Safety Committee lead and directs the work of the Committee through promoting exchange of experiences between the Committee members and sets the agenda for discussion in health, environment and safety related issues at the Faculty of Science. The chairperson of the Health, Environment and Safety Committee is also the Chief Safety Officer (sv: Huvudstuderandeskyddsombud (HSSO)) of the union. The HSSO, together with the presidium, is the main contact person in the union when dealing with crisis and various issues involving students. Members of the Health, Environment and Safety Committee are all parliament elected student representatives in the Faculty Local Safety Committee as well as all student council elected student representatives in the Department Health, Environment and Safety Board or similar. If you are interested in becoming a member of the Health, Environment and Safety Committee, candidate to either of these positions. The Health, Environment and Safety Committee acts both as a forum for sharing experiences between members as well as a discussion forum where common goals and strategies in gender and equality related issues are discussed. Additionally, the committee regularly surveys the health of the students at the Faculty of Science. The chairperson of the Information Committee lead and directs the work of the committee through setting the agenda for discussions regarding information spreading within the union. The chairperson is responsible for the content, design and distribution of the union newsletter Zenit as well as spreading information through the various union medias in conjunction with the presidium. Members of the Information Committee assist the chairperson in the distribution of information within the union through various campaigns and the distribution of the union newsletter Zenit. The chairperson of the Mentor Committee lead and directs the work of the committee through setting the agenda for discussions regarding the novisch activities held by the union and executing these together with the committee. The chairperson is responsible for the planning, organising and execution of the union novisch period in the beginning of each semester and everything that entails. Members of the Mentor Committee assist the chairperson in the planning, organising and execution of the novisch period held by the union at the start of each semester. Note that this requires a substantial time investment at the end of the summer and over the christmas break. The chairperson of the Party Committee lead and directs the work of the committee through setting the agenda for discussions regarding the social activities held by the union and executing these together with the committee. The chairperson is responsible for the planning, organising and execution of the union social activities in the form of parties, barbecues or other social events and everything that entails. Members of the Party Committee assist the chairperson in the planning, organising and execution of the social activities arranged by the Party Committee such as parties, barbecues and other social events. The chairperson of the Sports Committee lead and directs the work of the committee through setting the agenda for discussions regarding the sports activities held by the union and executing these together with the committee. The chairperson is responsible for the planning, organising and execution of the union sports activities and everything that entails. Members of the Sports Committee assist the chairperson in the planning, organising and execution of the sports activities arranged by the Sports Committee. The Sports Committee also takes part in the planning, organising and execution of the annual Kårmästerskapen in football together with the other student unions. As a chairperson of a student council you are in charge of its daily operation and ensuring the main duties of the student council are met. The main duty of the student council is to monitor and participate in the development of education and the conditions for studies at their departments. The main tool for monitoring and participating in the development of education is the election of student representatives to various preparing and deciding organs at the department. As chairperson you are to assure the conditions for the elected student representatives to perform their task as student representative. You will also act as the main contact between the student population, the department and the union and be able to manage these three instances in a professional and enthusiastic way. The chairperson is responsible for summoning student council meetings and grand meetings where students at the department can discuss various matters and elect student representatives respectively. Student council meetings should act a hub for students to bring forth their matters of concern and discuss with fellow students. Student council chairpersons are a part of the union SoV (Studierådsordförande och Vice) network together with the presidium where various topics regarding the union and the student councils are discussed. The parliament is the highest deciding body of LUNA, consisting of representatives from all student councils elected for the calendar year (January 1 – December 31). The parliament is the backbone of the entire operation of the union, deciding on organisational matters such as what the union should do for upcoming operational years, how our resources should be allocated and setting the standard for union work through regulatory documents. Furthermore, the parliament is responsible for elections to student representative positions and union organisational positions such as the presidium, board and committee chairpeople. to have insight into union operation (or be willing to learn). to have read and understood all meeting documents prior to all parliament meetings. to have anchored their opinions with their student council prior to all parliament meetings. to attend their student council meetings in order to report what has been decided. to in a timely manner, ensure that an alternate representative can attend a parliament meeting if you are unable. to have insight into the operation and positions of the union. to be comfortable voicing opinions in a meeting environment. to be comfortable questioning candidates for various positions. The parliament has at least one meeting a month, with an approximate length of two hours. The elective meetings are usually longer. Additionally, time to read, reflect and discuss meeting documents prior to all meetings should be allocated (approx. 5h/meeting) as well as time for attending your student council meetings. As a student representative in the department board you represent student opinion in questions regarding department organisation and direction. As student representative in the department board you are expected to attend and report back to all student council meetings and anchor what you convey in the student council. As a student representative in the department education board you represent student opinion in questions regarding education at the department. As student representative in the department education board you are expected to attend and report back to all student council meetings and anchor what you convey in the student council. Department education board representatives are also a part of the union Education Committee where department education board representatives meet to discuss common topics and issues as well as gathers opinions and ideas for the Education Committee to use in their work. As a department education board representative you are expected to attend the Education Committee meetings, and take part in the planning and execution of committee activity. As a student representative in the department gender and equality board you represent student opinion in questions regarding gender and equality at the department. As student representative in the department gender and equality board you are expected to attend and report back to all student council meetings and anchor what you convey in the student council. Department gender and equality board representatives are also a part of the union Gender and Equality Committee where department gender and equality board representatives meet to discuss common topics and issues as well as gathers opinions and ideas for the Gender and Equality Committee to use in their work. As a department gender and equality board representative you are expected to attend the Gender and Equality Committee meetings, and take part in the planning and execution of committee activity. As a student representative in the department health, environment and safety board you represent student opinion in questions regarding health, environment and safety at the department. As student representative in the department health, environment and safety board you are expected to attend and report back to all student council meetings and anchor what you convey in the student council. Department health, environment and safety board representatives are also a part of the union Health, Environment and Safety Committee where department health, environment and safety board representatives meet to discuss common topics and issues as well as gathers opinions and ideas for the Health, Environment and Safety Committee to use in their work. As a department health, environment and safety board representative you are expected to attend the Health, Environment and Safety Committee meetings, and take part in the planning and execution of committee activity. Representatives in the department health, environment and safety boards are also the student safety officers (SSO) at their department. Student safety officers are invited to attend an education held by LU Byggnad, the Student Health Counselling and the Student Ombudsman in the work of the physical and psychosocial study environment. Student safety officers then work with these issues at their department though safety inspections throughout the buildings and act in a supporting role for all students at the department. The student council representatives are elected by the student council to represent them in the committee. Student council representatives are to ensure the committee works towards the students of the respective student council by finding and relaying various organisations and people of interest to the committee. The student council representatives also assist in the marketing of the committee events. Student council corporate relations committee members act as a communications channel between the student council and the Corporate Relations Committee. The student council representative is expected to attend Corporate Relations Committee meetings and come with input for how the Committee can work with corporate relations topics best suited for the members of the student council, and take part in the planning and execution of committee activity. As a student representative in the department library board you represent student opinion in questions regarding library functions at the department. As student representative in the department library board you are expected to attend and report back to all student council meetings and anchor what you convey in the student council. As a student representative in the board of joint services you represent student opinion in questions regarding the department facility and how this could be improved upon. As student representative in the board of joint services you are expected to attend and report back to all student council meetings and anchor what you convey in the student council. As a student representative in UDIF you represent student opinion in questions regarding the education in the basic block at the department. As student representative in UDIF you are expected to attend and report back to all student council meetings and anchor what you convey in the student council. UDIF representatives are also a part of the union Education Committee where department education board representatives meet to discuss common topics and issues as well as gathers opinions and ideas for the Education Committee to use in their work. As a UDIF representative you are expected to attend the Education Committee meetings, and take part in the planning and execution of committee activity. As a student representative in the Faculty Board you represent the student opinion in the highest deciding organ of the Faculty of Science. In the Faculty Board all organisational and other important matters regarding the entire faculty are decided. Elected representatives are payed by the faculty. As a student representative in the Faculty Education Board (N!UN) you represent the student opinion in education related matters at the Faculty of Science. The Faculty Education Board is where the final decisions concerning all basic (bachelors and masters) education is made. As a representative in the Faculty Education Board you are also part of the union Education Committee. Elected representatives are payed by the faculty. As a student representative in the Faculty Equal Opportunities Board you represent the student opinion in equality and equal treatment related matters at the Faculty of Science. The Faculty Equal Opportunities Board works with faculty wide strategies for ensuring that all students are treated equally. As a representative in the Faculty Equal Opportunities Board you are also part of the union Gender and Equality Committee. As a student representative in the Faculty Local Safety Committee (LSK) you represent the student opinion in health, environment and safety related matters at the Faculty of Science. The Faculty Local Safety Committee works with faculty wide strategies to ensure a high quality work and study environment. As a representative in the Faculty Local Safety Committee you are also part of the union Health, Environment and Safety Committee. As a student representative in the Faculty Library Board you represent the student opinion in library related matters at the Faculty of Science. In the Faculty Library Board strategic discussions about libraries and their function are held. The library staff is a large work force and the Faculty Library Board helps to coordinate their work. As a student representative in the Career Council you represent the student opinion in career related matters at the Faculty of Science. The Career Council works with different strategies for exposing students at the Faculty of Science to their career opportunities both after and during their studies. Traditionally the position in the Career Council is held by the Head of Corporate Relations of the union. As a student representative in the Faculty Nominating Committee you represent the student opinion in the nominations for faculty leadership positions. Since the faculty leadership is elected on a six (6) year basis the Faculty Nomination Committee is not very active between election periods. As a student representative in the Academic Appointments Board (LFN) you audit and interview lecturers, professors and others who apply for teaching and research positions at the Faculty of Science together with representatives from the faculty and departments. Together with LFN you give recommendations to the faculty for who should be appointed to the various positions. The Academic Appointments Board usually convenes once a month in full-day meetings. The representatives in the Academic Appointments Board are payed by the faculty. The Faculty Readership Appointments Committee appoints teachers applying for a lectureship at the faculty of science. As a student representative in the LINXS Board you represent the student opinion in the activity and operation of the LINXS Project. The LINXS Board decides on the future operations and activities of the combined efforts of MAX IV and ESS in Science Village Scandinavia. As a student representative in the MAX-lab Board you represent the student opinion in the activity and operation of MAX-lab. The MAX-lab Board decides on the future operations and activities of MAX-lab and MAX IV. As a representative from Lunds naturvetarkår (LUNA) in the Academic Society Parliament (AFÖS) you represent the opinions of The Science Student Union in matters relating to the Academic Society. The Academic Society Parliament is the highest deciding organ of the Academic Society deciding on many organisational and other important matters relating to the Academic Society and its operation. 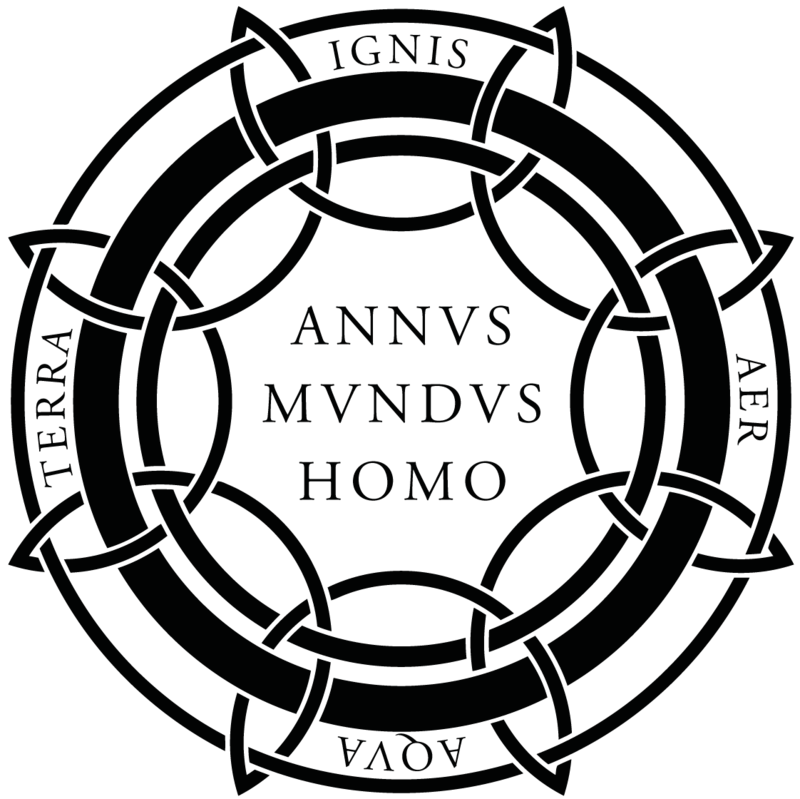 As a representative from Lunds naturvetarkår (LUNA) in the Academic Society Scholarship Board you represent the perspective of The Science Student Union in the granting of scholarships from the Academic Society. The Academic Society Scholarship Board assesses applications for scholarships and decides how they are to be distributed. As a representative from Lunds naturvetarkår (LUNA) in the Lund University Student Unions Ting (LUS Ting) you represent the opinions of The Science Student Union in matters relating to the Lund University Student Unions.  The Lund University Student Unions Ting is the highest deciding organ of the Lund University Student Unions deciding on many organisational and other important matters relating to the Lund University Student Unions and its operation. As a representative from Lunds naturvetarkår (LUNA) in the Lund University Student Unions Elective Ting (LUS ValTing) you represent the opinions of The Science Student Union in election matters to the Lund University Student Unions positions for the upcoming operational year. As a representative from Lunds naturvetarkår (LUNA) in the Lund University Student Unions Nomination Committee you represent the opinions of The Science Student Union in nominations for Lund University Student Unions positions for the upcoming operational year. The nominations are later presented for Elective Ting.